The Yuma, Arizona, office of The Smith Fila Law Firm offers sound and extensive representation for personal injury clients in southwestern Arizona. Along with assisting Arizona clients, attorneys Brian E. Smith and Frank Fila handle legal matters in California and Nevada, and offer bilingual service for Spanish-speaking clients. The Smith Fila Law Firm is also informed on the complexities of Canadian insurance, allowing it to provide skilled advocacy for Canadian tourists injured in its practice jurisdictions. Having practiced together for more than 20 years, Mr. Fila and Mr. Smith understand the needs of clients who have suffered personal injury or lost a loved one. The Smith Fila Law Firm is concerned with obtaining the best possible results for its injured and wrongful death clients. Through their extensive experience, the firm’s attorneys possess knowledge of the serious medical conditions that can result from car accidents and injuries caused by dangerous products. The firm’s longstanding roots in the Arizona community mean it is thoroughly familiar with local courts, medical providers and residents. Additionally, The Smith Fila Law Firm is proficient in navigating the insurance issues that personal injury and wrongful death clients should not have to face alone. 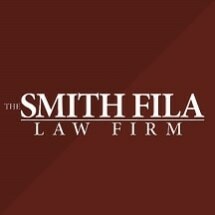 The Smith Fila Law Firm’s dedication to excellence has helped it achieve a history of favorable results, including multimillion-dollar verdicts and settlements in personal injury and product liability cases. Each case is different, and while it is impossible to predict the exact outcome of your case, Mr. Fila and Mr. Smith can promise one thing: They will use their extensive resources, experience and skill to achieve the best possible results.